Canada : There is breaking news from Canada that a bus carrying a junior ice hockey team collided with a truck on a rural highway in Canada's western Saskatchewan province, killing at least 14 people, local media reports today. The Saskatoon StarPhoenix said that in the unfortunate accident 14 more were injured including three in critical condition. 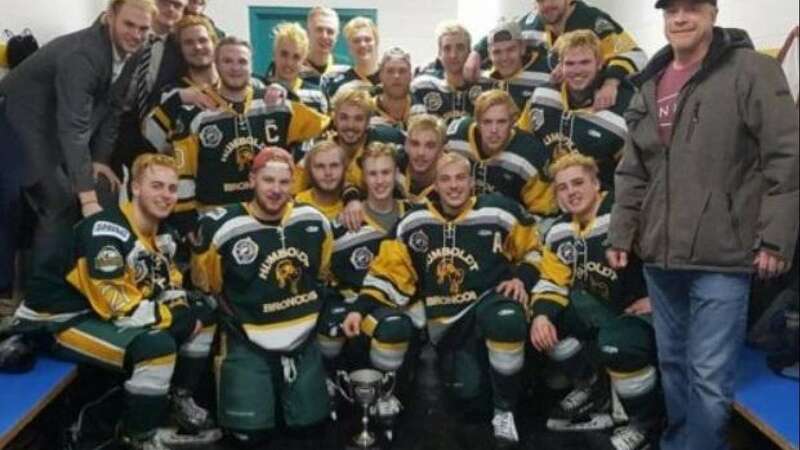 The accident involving the Humboldt Broncos team bus took place on Friday's accident. The bus was carrying 28 people including the driver. Police said the crash took place at around 5:00 pm about 28 kilometers (18 miles) north of the town of Tisdale, a trading center in an overwhelmingly agricultural region. The ice hockey team was approaching towards north for a Saskatchewan Junior Hockey League playoff game against the Nipawin Hawks. "It is a significant accident, we had a tractor trailer and a bus collide," Royal Canadian Mounted Police inspector Ted Monro told a press conference, declining to give details about the victims. Police is yet to know the condition of the truck driver. The Saskatchewan Health Authority said on Twitter it was dealing with a "high volume of incoming trauma cases" at Royal University Hospital and St Pauls Hospital, both located in Saskatoon some 250 kilometers (150 miles) away from the crash site. Families of the deceased were directed to Nipawin Apostolic Church for information and support. The hockey team comprises 24 players, all from Canada, with the youngest aged 16 and the oldest 21. It is higher levels of hockey with many graduating to play at US and Canadian colleges and major junior league level, while some go on to the National Hockey League. "Its a horrible accident, my God," Darren Opp, president of the Nipawin Hawks hockey team, told the Globe and Mail. "Its very, very bad. In a statement, Hockey Canada said was "devastated" by the news. The accident news has outpoured grief on social media, with fans and players sharing messages of condolences using the hashtag #PrayforHumboldt. "My entire career Ive looked forward to every bus trip", tweeted Anaheim Ducks defenseman Steven Oleksy. "Its a place where players can forget what happens on the ice. 2night my heart is in Humboldt."